n the last few posts, hopefully I’ve been able to plant a seed in your head about training – learning new technologies and skills – as a hobby rather than trying to do it through work (unless you can, of course, which would make it that much more efficient!). I talked about training through real experiences and how building and publishing apps is a means by which you can gain those real experiences but also how published apps act as your ongoing resume to show people what you can do. I promised you that I would do my best to make all of that as easy and as efficient (fast) as possible to do. Here’s one towards that promise. Enjoy. By now, hopefully you’ve had a chance to watch the various sessions of the Developer Movement DevCamps (see Apps Made Easier – Step 1 andApps Made Easier – Step 2: Choose Your Own Adventure) and started working on your app (or two, or more…). As you’re building, remember, if you run into some obstacles or have any questions on how to do something, Developer Mentors are available and ready to help. All you have to do is let us know you need one (here’s how). When you have something to demo, it’s time to setup a time to have your app reviewed by a Microsoft Expert. 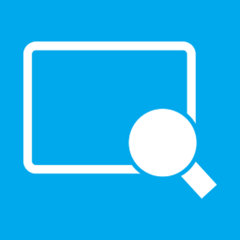 That’s step 3 – Windows Store App Labs. Booking 1 on 1 time at a Windows Store App lab gives you an opportunity to review the design and function of your app with a Microsoft technical expert, troubleshoot any issues or potential certification problems, and lastly, test your app on various Windows 8 devices. Developer: As a developer, you want to hear another developer tell you precisely how it is. No sugar-coating, subjectivity, no maybes! If your loading is slow, you want to know why. If your navigation is broken, you need to know how to fix it. If your template is a mess, you have to change your styling to reflect the correct alignment. This type of feedback is very heavy on finding technical issues and enforcing MSDN guidelines and recommendations. User: It’s not just about you or what you think is right. It’s also about your end user. And what better way to get a sense of how you should create a better experience for your user than to have someone objectively play the devil’s advocate and tell you precisely what a user might expect. In a typical WSAL, we begin with you doing a quick demo of what you have right now and what you’re planning on adding before the final release. We identify common UX and technical issues and dig deeper into issues that apply specifically to your app. We’ll give you recommendations straight out of the MSDN UX guidance that you may just not have enough time to cover in its entirety. We close off with a review of the certification requirements to reduce your publishing time from submission to your app appearing in the Store as much as possible. To take full advantage of your WSAL time, be sure to bring the APPX of your app or a prototype. Generally speaking, a project that is at least 80% done will take full advantage of the WSAL time. If you wish to troubleshoot some of technical issues that you might have, bringing the source code will help. If you have a web service or so some external dependency that your app requires to function, make sure that it is accessible from outside of your development environment. We’ll have a number of devices of various form factors ready, so if you can’t bring your own development/testing machine, a USB key with your APPX is just as good! Let me guess, you thought I was going to say that the best part is that it the Windows Store App Lab reviews are FREE. While that is true, that’s not the best part. The experts that you’re going to be meeting with, Microsoft Canada, and of course, yours truly, want to see your app(s) be the best that it (they) can be. As such, the best part of the Windows Store App Labs is that if you need more than one review for your app to be the best that it can be, so be it! We’re to here to help! After each review, you can go ahead and schedule another based on what you discuss and agree with your reviewer.